Anyone Interested in trying out for Cheerleading - 19-20 School Year. 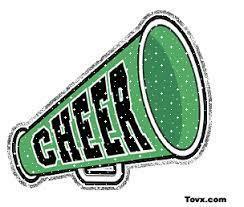 Students interestd in cheerleading next year will meet in the Lecture Hall for a brief meeting during Activity Time. Cheer Coach Ashley Aldridge will be presenting.